The DLDSSCSI believes that regular attendance plays a key role in student achievement. Stallworth Charter recognizes its responsibility under the law to ensure that students attend school regularly. Parent/guardians of children aged six to eighteen are obligated to send their children to school unless otherwise provided by law. Stallworth Charter shall abide by all state attendance laws and may use appropriate legal means to correct the problems of excessive absence or truancy. Medical, dental, optometric, or chiropractic appointments. For the purpose of serving as a member of precinct board for an election pursuant to section 12302 of the election code. Participation in religious instructions in accordance with DLDSSCSI policy. Attendance at a funeral service. Observation of a holiday of his/her religion. Attendance at religious retreats for no more than four hours a semester. If student is the custodial parent of a child, his/her absence shall be excused when the child is ill or has a medical appointment during school hours. Any pupil subject to compulsory full-time education who is absent from school without a valid excuse three full days in a school year or tardy or absent for more than any 30-minute period during the school year day without a valid excuse on three occasions in one school year, or any combination thereof, is a truant and shall be reported to the attendance supervisor. 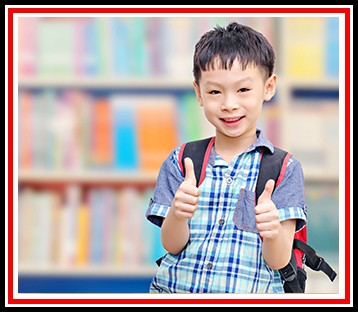 Upon a pupil’s initial classification as a truant, the school district shall notify the pupil’s parent or guardian. Elementary Truancy Letter I is sent to the pupil’s parent or guardian whose pupil is absent from school for three full days without a valid excuse or has ten tardies. Secondary Truancy Letter I is sent to the pupil’s parent or guardian whose pupil is absent from school for three full days without a valid excuse or has six cuts in any one class. Any pupil who has once repeated as a truant and who is again absent from school without a valid excuse one or more days, or tardy on one or more days, shall again be reported as a truant to the attendance supervisor. Elementary Truancy Letter II is sent to the pupil’s parent or guardian whose pupil has accumulated three additional full days of absences without a valid excuse to school’s attendance intervention team. Any pupil is deemed an habitual truant who has been reported as truant three or more times per school year, provided that no pupil shall be deemed an habitual truant unless an appropriate attendance officer or employee has made a conscientious effort to hold at least one conference with a parent or guardian of the pupil himself, after filing of the reporting required by education code section 48260 and 48261. Elementary notice to attend a school/attendance review team hearing (SART) will be sent to the parent/guardian whose pupil has accumulated three full days of absences without a valid excuse (total of nine full day absences without a valid excuse). Elementary/secondary students with 12 unexcused absences are in violation of their SART contract. Human Services Agency will be notified that the student is not attending school regularly (grant will be sanctioned). Student is not a habitual truant. If any minor pupil in any district of a county is a habitual truant, or is irregular in attendance at school or is habitually insubordinate or disorderly during attendance at school, the pupil may be referred to the school attendance review board (SARB). Elementary/secondary child welfare and attendance (CWA) counselors/liaison will refer all students that have 15-18 days unexcused absences to SARB. The attendance supervisor or designee, a peace officer, a school administrator or designee, or probation officer may arrest or assume temporary custody during school hours of any minor subject to compulsory full-time education or to compulsory continuation education found away from his home and who is absent from school without a valid excuse within the county, city, or school district (Truancy Center detained students). First occurrence: Appropriate administrative action, detention, Saturday school, etc. Second occurrence: CWA counselor/liaison sends notice of SART hearing to be held at the school site with parents/guardians. SART contract is required. Third occurrence: CWA counselor/liaison will refer student to SARB. After ten (10) consecutive days of school absence when no legal excuse for absences had been given, the attendance clerk will notify the registrar. The registrar will initiate a “transfer from class to inactive status” form and send it to each of the pupil’s teachers so that the pupil’s name can be removed from the teacher’s roll book. The attendance clerk notifies the CWA counselor when a student is placed on “inactive status.” The CWA sends notice of school attendance review team hearing at the school site to parents/guardians. SART contract is required before re-entry. If the student has already been deemed an habitual truant (has a SART contract) that student will be referred to SARB by the CWA counselor. Note: Education code 48900 provides that the legislature intends that alternatives to suspension be imposed for truancy, tardies, or other absences.